Taking the points values out of the equations completely there is no doubt that Greenwich is the better location and the local area has a really good vibe. Lots of tourist stuff in the local area along with Riverboat pier and DLR/BR. Wandsworth in my opinion would just be a "Base" near to Central London compared to Greenwich where it could be a base and an attraction. TFL journey planner says 33 minutes from Wandsworth to Leicester Sq and 39 from Greenwich so nothing in it really from a tourist point of view. The rooms at Wandsworth are your standard HIX size, probably slightly bigger than Greenwich but not that much bigger if I am honest. The HIX was a first generation one though with the triangular headboards and desks although it has been refurbished whilst the DT has had a lot of money spent on it. Looking at the points value Wandsworth is obviously a bit of a bargain at 15k but so is the DT Greenwich at the max of 30k. If points were no object I would probably opt for the DT for the better standard of room and far better breakfast (Assuming you are at least HH Gold) but at the same time there really isn't much wrong with the HIX either - I've made a reservation myself for November. I had a 4 night stay booked in Beirut at the 4 Points Le Verdun (SPG), which I cancelled, and just finished booking 4 nights at the InterConinental Le Vendome for 60k Points. I didn’t research anything before I made this impulsive switch, so I hope the hotel and location are good. Yup, see you at the end of November. At least it's something to look forward to every 2-3 months. Guess they might go to every 2 months now. Last one was Jul-Sep, this one is Sep-Nov. Next one, Nov-Jan? No. They're simply allowing people to plan their holiday stays before they release the new list. Calm down. The idea that the list is "rubbish" is subjective. Just because there aren't 5k IC's in your favoured locations, doesn't mean to say that the list is poor. Stop moaning. It's becoming very tedious. While there aren't many properties on the list which could be of use to me before the end of November, I do admit that this is a very good list. I was surprised by so many different countries in Asia being listed. The IC Kiev and IC Ljubliana are great deals given how much their normal daily rates are. I just don't think I can make it to either one of them before the end of November, even though I would love to. Thx for the input. Tripadvisor rather gives not so positive reviews about Des Moines, so your word gives some hope it would not be bad. Looks like the 15k ICs in Europe and the HIX in Silicon Valley have exhausted their quotas. I stayed at the HI Paris Montmartre over the summer. Decent enough location if you can snag it and want to burn points, not sure that it's worth 15k I'll be honest, 5k would have been a steal, that's for sure! For the October / November list were the nights of both September 30th and November 30th both bookable? To phrase it another way is there currently a 1 night overlap for each new pointbreak period? Not sure what you are asking, but I believe the first night bookable** was the night after the day this updated list was actually released. Was the first bookable night for the current pointbreak list for check-in on September 24th (list release), 25th (day after list release), 30th or October 1st? It's usually bookable on the very same day the list is released. I would not be surprised to see the next list come out Monday Nov 19th, as if it comes out the following Monday - as traditionally does come out the last Monday in month prior to old list expiring - IHG probably won't stirr as much "hype" as desired from the list as they'd like. 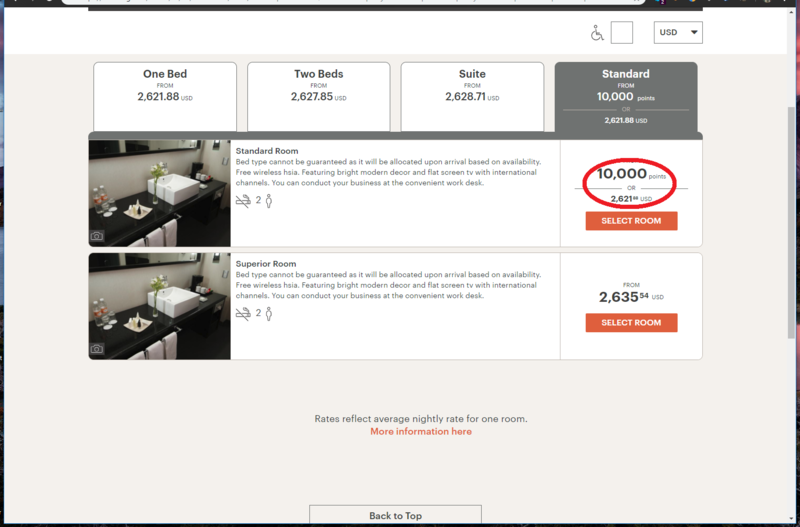 Especially since that following Monday is cyber Monday and IHG probably will push some cyber Monday sale on cash rates??? I'd say there is more chance of a preview of a couple of properties on the 28th and a launch on the 30th than there is of the 19th which would provide an overlap of twelve days between lists.